Splash Heads, Pear Shapes, Sloping. We are providing our vast range of stylish and beautiful Carnival Glass Decanter that is ideal for service industry. These are in two-colour combination including orange and green. Our range is especially designed to serve beverages on special occasions such as festivals, anniversaries, birthday parties, and wedding ceremonies. 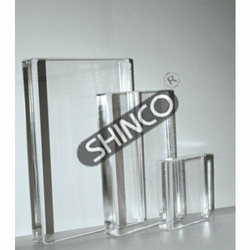 To provide an exquisite range of glassware, we use fine quality raw material obtained from trusted vendors of the market. Our highly skilled professionals design the products in different attractive designs as per the prevailing fashion trends. We customize our products as per specific requirements and needs of the customers. At Hyphen Exports, we offer you the finest laboratory glassware made from Borosilicate glass. These withstand thermal shock & chemical attack better than most other kinds and is the material of choice for use in many chemistry applications. We also have calibrating instruments to suit your lab needs. Brand: The Black Box Co.
We are a top notch supplier of Ocean Glassware.